Our thanks to Lee Tucker for the ticket scan shown to the right, together with the poster image for the concert. 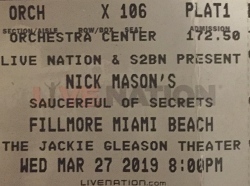 As the Saucerful Of Secrets tour moves around North America, the band and crew make another jaunt south on the itinerary, visiting the Floridian city of Miami. 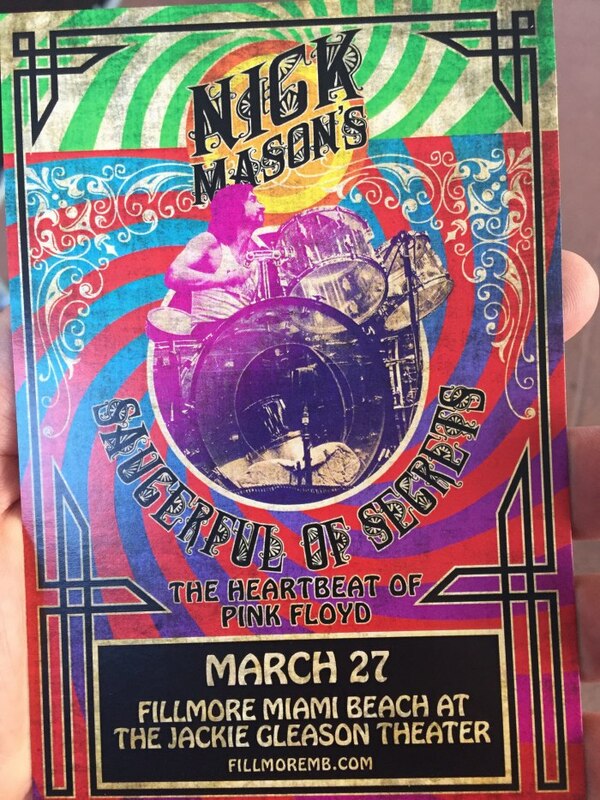 The venue was close to the beach; another historic, beautiful place for the band to play, and maybe it was the location, but another great night, and great performance, met with great acclaim. 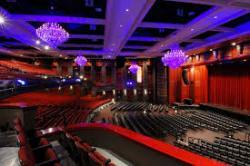 No changes to the set list but to be honest, not expecting any at this stage.